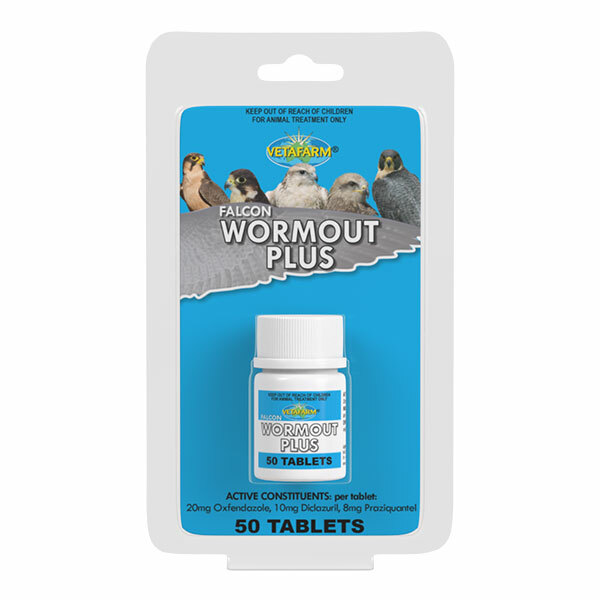 Performance birds require high levels of vitamins for maximal muscle and organ function. Vitamin supplements should also be used when birds are stressed or recovering from disease. 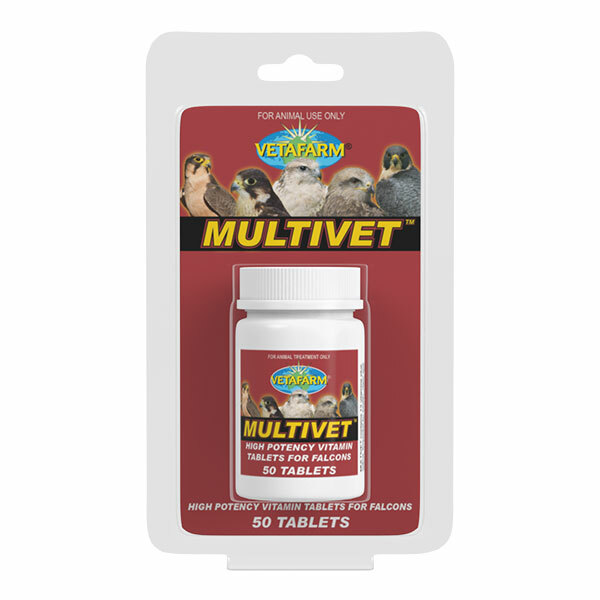 Multivet Tablets contains vitamin A and the B vitamins plus iodine to provide a wide selection of essential vitamins for falcon health. 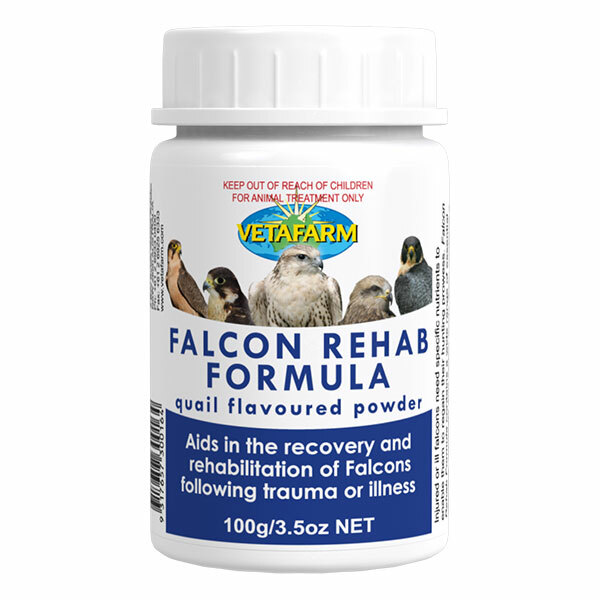 Give half a tablet per kg (35oz) body weight daily to the falcon by inserting the tablet into meat or by direct oral dosing. Vitamins A, B1, B2, B3, B5, B6, B9, B12, D3, E, K & H, plus Iodine.